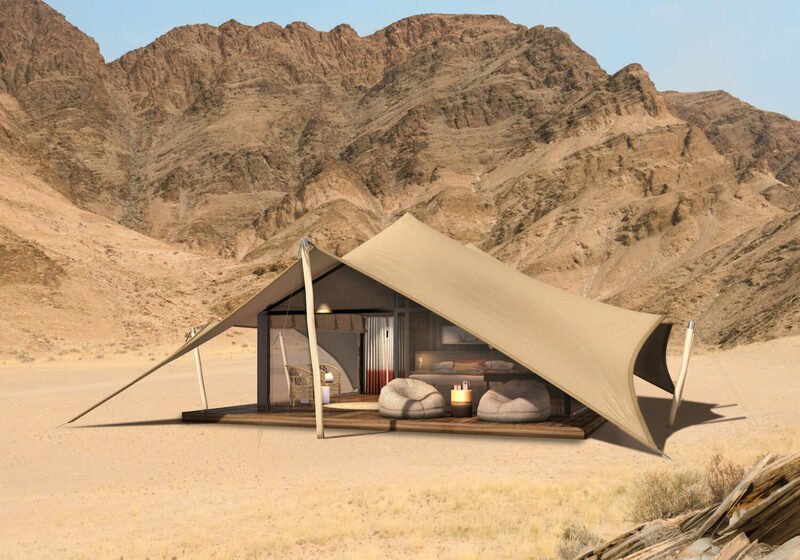 Set in one of the wildest and starkly beautiful corners of Namibia, the intimate Hoanib Valley Camp offers you an experience like no other. 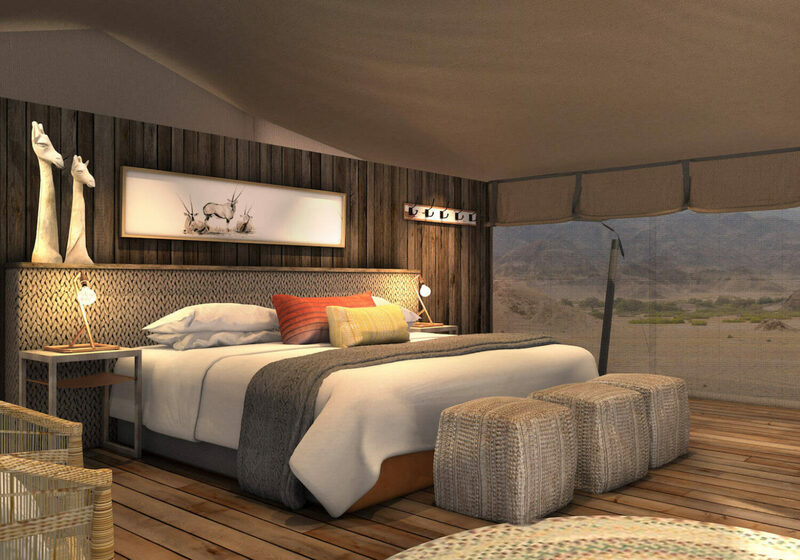 This brand new eco-camp in north-western Namibia opens the door to the wonders of Kaokoland – a remote wilderness defined by sweeping desert, rolling sand dunes and dramatic jagged mountains. 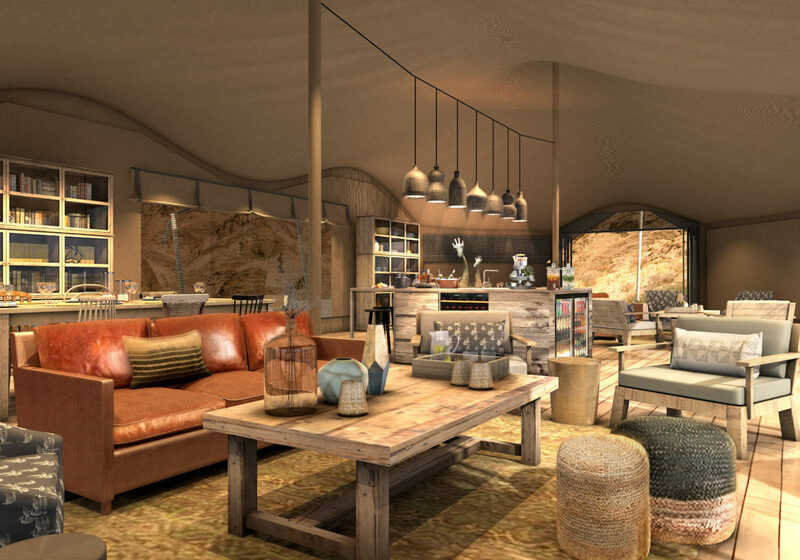 Accommodation consists of just six guest tents, all with private verandas and en suite bathrooms. 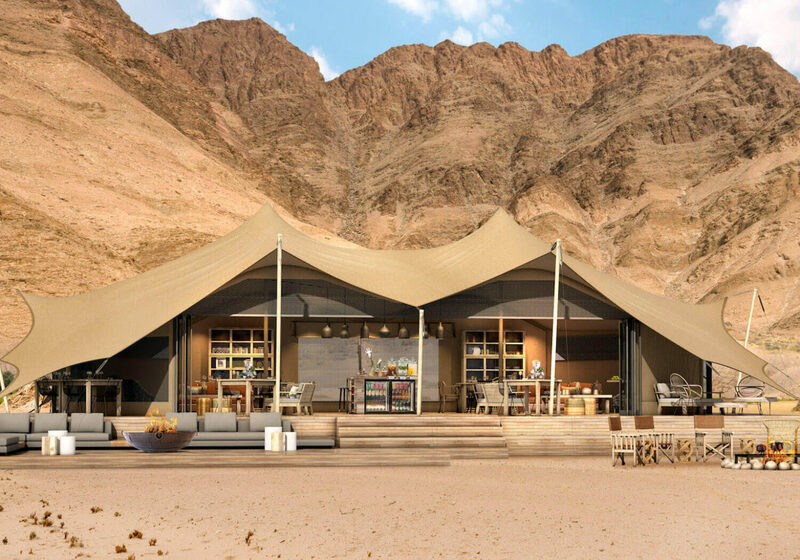 Each tent is inspired by the colours of the dunes and constructed from locally sourced materials, ensuring harmony with the surrounding landscape. 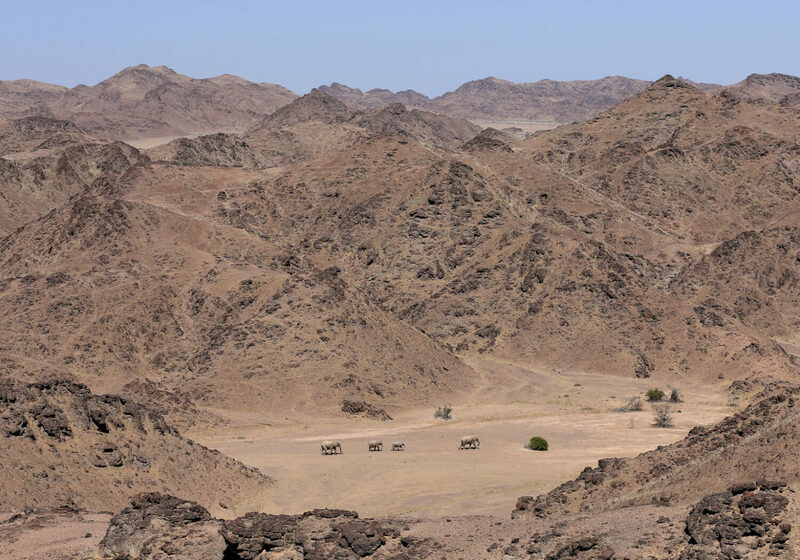 Activities focus primarily on the region’s unique, desert wildlife. 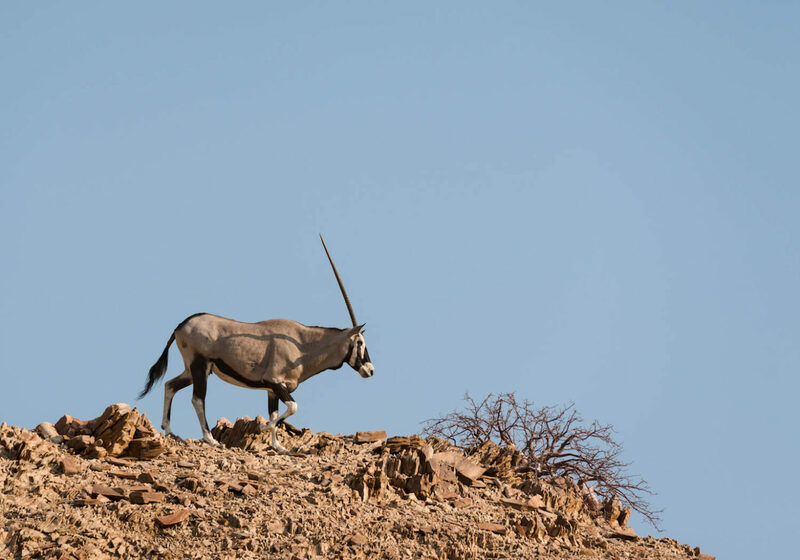 Game drives along dry riverbeds will take you in search of desert-adapted lion, giraffe and elephant, as well as kudu, springbok, oryx, hornbills, eagles and the endangered black rhino. 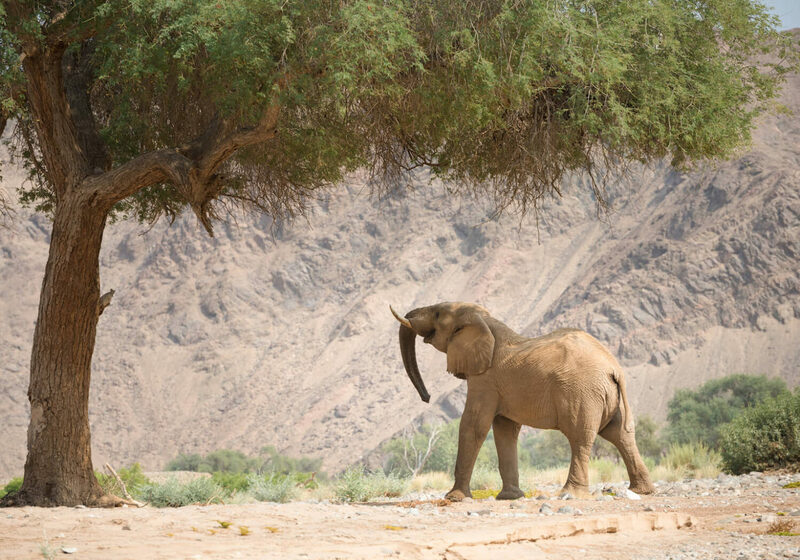 Guided nature walks allow you to experience the region’s smaller species, whilst day trips to the Skeleton Coast can also be arranged. For those interested in culture, visits to local Himba and Herero communities is a great way of getting an insight into life in this remote region.